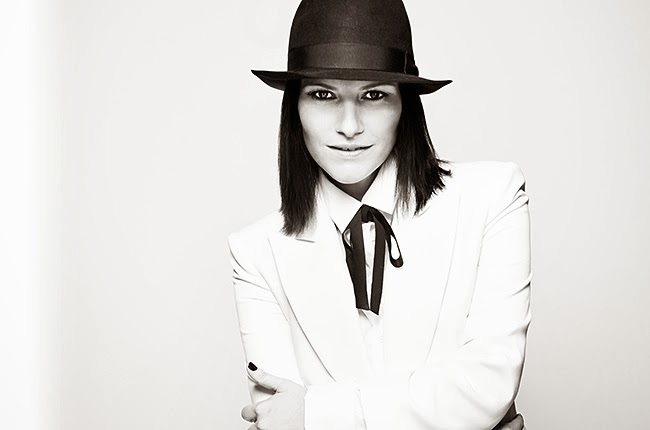 Italian pop music icon, singer-songwriter and record producer Laura Pausini will be featured in an exclusive Star Q&A session during the 2014 Billboard Latin Music Conference taking place April 21-24 in Miami. Pausini, who is celebrating 20 years of recording and is currently in the midst of a global anniversary tour and promoting her album "20 Grandes Exitos," will sit down for a one-hour, in-depth conversation on April 23. "Having spent 20 years of my life traveling and singing is a unique privilege. The simple thought of this moves me," said Pausini. "To have the possibility to talk and share my thoughts and opinions at the Billboard Conference with people who can still teach me a lot is an opportunity that I don't want to miss!" The timing of the exclusive sit-down is particularly fortuitous as Pausini's anniversary celebration goes hand in hand with the Billboard Latin Music Conference's 25th anniversary celebration this year. "Having her at the 25th anniversary of the Billboard Latin Music Conference, celebrating her own 20th anniversary and her album '20 Grandes Exitos' is a once in a lifetime event," said Leila Cobo, Billboard's executive director of Latin content and programming, who will conduct the interview. A winner of three Latin Grammy Awards, four World Music Awards, a Billboard Latin Music Award and a Grammy, Pausini is Italy's top-selling female act. Following her debut in 1993 after winning Best new artist at the 43rd SanRemo Music Festival, Pausini became an international success, and by 2004, had already sold over 25 million albums, according to Warner Music. Pausini began recording Spanish versions of her Italian hits beginning with her debut album and is now also firmly entrenched in the Latin music landscape. Her current album, "20 Grandes Exitos," includes duets with Marc Anthony, Kylie Minogue, Alejandro Sanz, Michael Bublé, Andrea Bocelli and James Blunt, among others. Two of those tracks -- "Se Fue" featuring Anthony and "Víveme" featuring Sanz -- are currently on the top 50 of Billboard's Latin Airplay chart. The Billboard Latin Music Conference, presented by State Farm, will take place April 21-24 at the JW Marriot Marquis in Miami and will culminate with the Billboard Latin Music Awards, airing live April 24 on the Telemundo network. For more information and registration, please visit BillboardLatinConference.com.